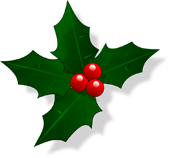 We all at Angels & Cookies would like to wish you a Very Merry Christmas and a Happy and Peaceful New Year! We will be open for orders on January 2, 2019! 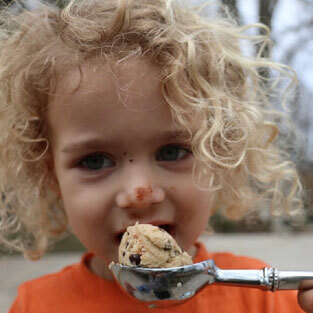 Our cookie dough is not just any ordinary cookie dough. 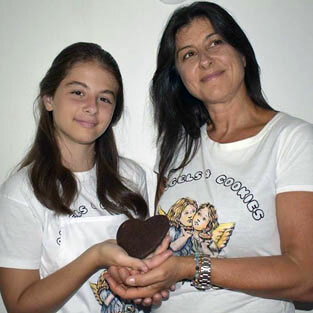 At Angels & Cookies we make it possible for everyone to have a choice. 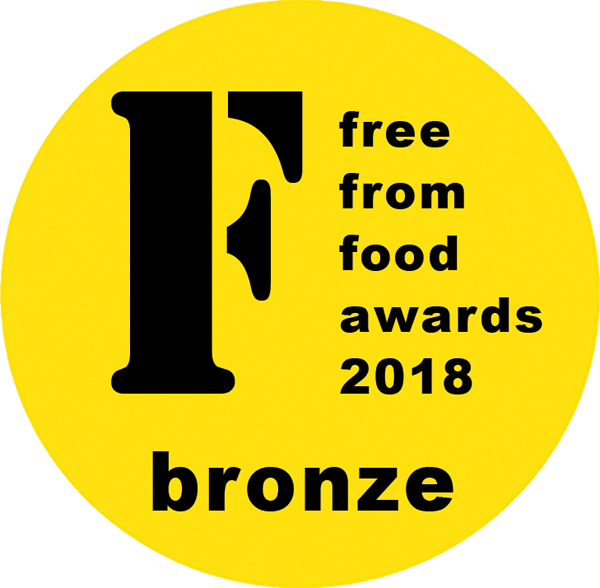 Our mission is to enable those suffering from food allergies to indulge without needing to sacrifice their health so that we can all live a happier and healthier life. Angels & Cookies wishes you all a happy Easter! Please note that we will not be shipping orders between the 17th and 23rd of April. 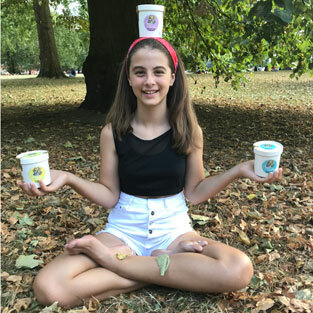 We endeavour to use Organic Ingredients and our cookie dough is free from hydrogenated oils, cholesterol, additives, preservatives, artificial ingredients and refined sugar. Please get in touch if you would like to become a stockist. Our Christmas Trio Special includes our Chunky Chocolate Chip, Fantastic Fudge and Ginger & Spice Cookie Dough for the price of £15.98! Christmas trio special offer from December 5th-17th only so gift this wonderful box of cookie dough to someone you love. See more details about the different flavours below. 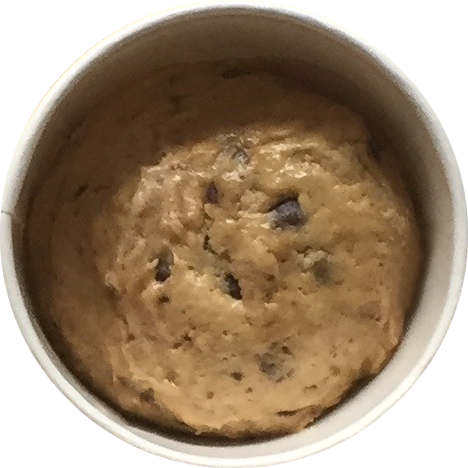 Our dark and rich chocolate fudge cookie dough produces a chocolate fudge cookie that melts in your mouth and is moist, chewy and delicious, transporting you back to your childhood, that is if you're not a kid any longer... but still a kid at heart! Our cacao powder is bursting with anti-oxidants and nutrients. 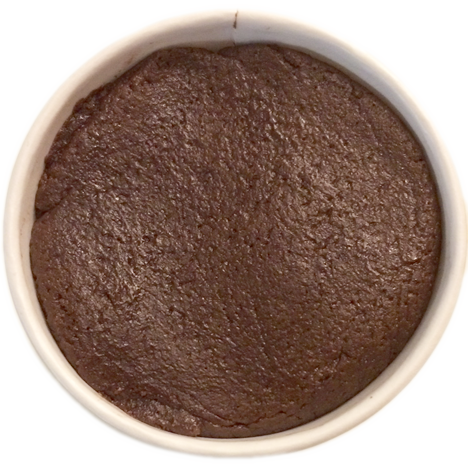 Organic brown rice flour, potato flour, tapioca flour, dairy free sunflower spread, organic raw cane sugar, cocoa powder 8%, coconut milk, Himalayan salt, gluten free baking powder, gluten free bicarbonate of soda, gluten free xanthum gum and love. We use the highest quality of ingredients and endeavour to use organic whenever possible! 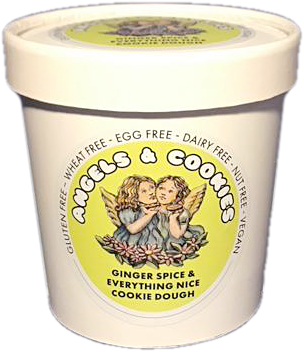 Free From and Vegan Cookie Dough made in a dedicated allergen free site. *Oven temperatures may vary depending on your oven so please adjust baking time accordingly. ...and everything nice. A fragrantly spiced cookie dough which conjures up memories of gingerbread men, reminiscent of snowladen holidays-but you don't need to wait for the holidays to enjoy these richly flavoured ginger and spice cookies which contains the supernutrient of organic ground ginger. 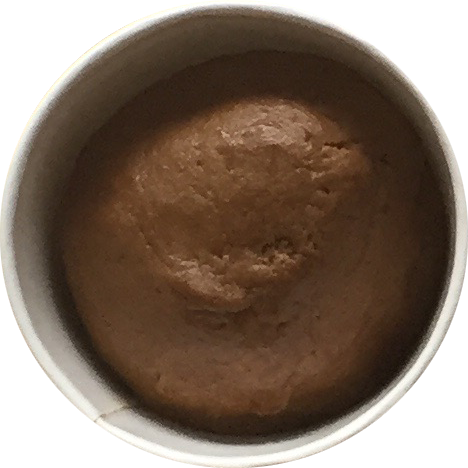 Organic brown rice flour, potato flour, tapioca flour, dairy free sunflower spread, dark Muscovado unrefined sugar, ground Ginger 0.3%, Himalayan salt, coconut milk, gluten free baking powder, gluten free bicarbonate of soda, gluten free xanthum gum and love. Do you like your chocolate chip cookies moist on the inside with a hint of crispness around the outer edges? Our dough will give you just that – freshly baked chocolate chip cookies straight out of the oven just like Mom used to make! 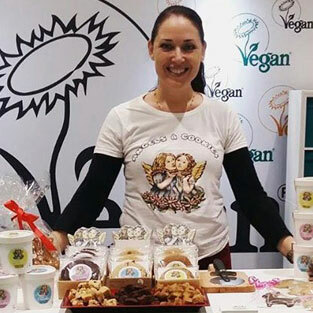 These cookies are made using ethically sourced organic chocolate chips. Organic brown rice flour, potato flour, tapioca flour, dairy free sunflower spread, organic fairtrade chocolate chips 14% (organic cocoa mass, organic sugar, organic cocoa butter, emulsifier:sunflower lecithin), organic raw cane sugar, light Muscovado sugar, vanilla extract, Himalayan salt, coconut milk, gluten free cream of tartar, gluten free bicarbonate of soda, gluten free xanthum gum and love. 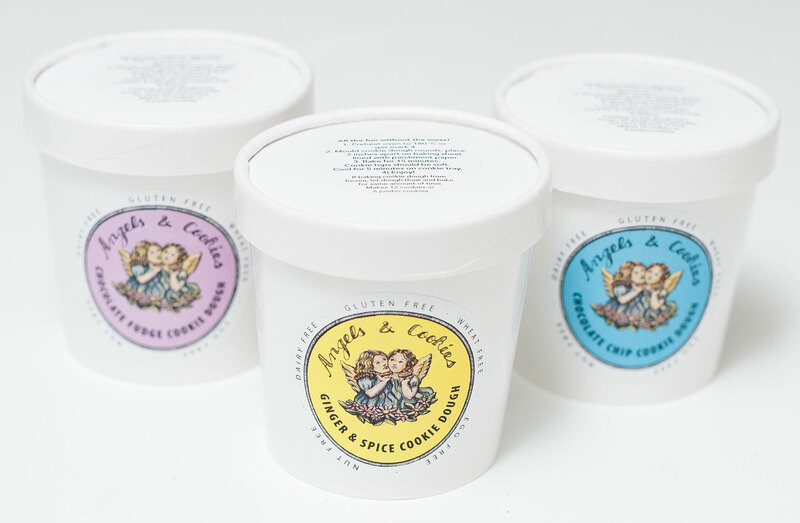 When we shout VANILLA at Angels & Cookies we mean VANILLA! 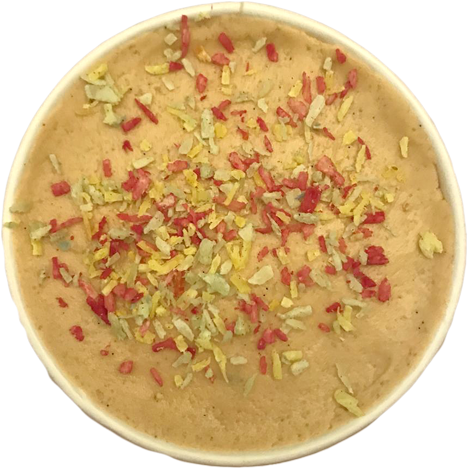 Vanilla, an earthy complex spice beautifully fragrances our cookie dough and we really love to taste the vanilla. Not only do we add extra vanilla extract, but we add our own homemade blend of Vanilla Sugar by infusing it with Madagascar Vanilla pods. Organic brown rice flour, potato flour, tapioca flour, dairy free sunflower spread,organic raw cane sugar, light Muscovado unrefined sugar, vanilla extract 1%, Himalayan salt, coconut milk, gluten free cream of tartar, gluten free bicarbonate of soda, gluten free xanthum gum and love. "I have finally found the tastiest, healthiest easy to make cookies for my vegetarian/gluten free family. Karen is an amazing baker that knows what a mom needs and never ceases to surprise me with new delicious recipes that are super healthy. All I have to do is pop them into the oven. It was about time! "The aroma of your cookies baking in the oven is so good that people selling or renting their properties should bake them minutes before showing to prospective buyers or renters." The quality and consistency of the cookies is what I feel really differentiates them from the ones I have tried anywhere else. In addition, being mainly organic, wheat free, gluten free, nut free, vegan, it allows almost anyone to enjoy them without feeling guilty. I would highly recommend anyone looking for a healthier alternative without compromising taste to try these cookies - you will not be disappointed! Got up on Boxing Day to bake the cookie dough... kids were up 5 minutes later and asking "are they ready yet?" all through the cooking time. Having just baked and wire-racked the lovely cookies to cool, my kids descended like a plague of locust to devour them before my eyes. I managed to grab one of each flavour, and hide away to enjoy them with my green tea. Absolutely delicious and super easy to bake. I would truly recommend them to one and all. 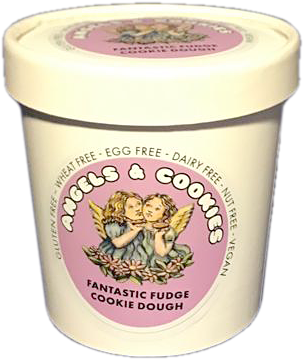 A wonderful tub full of deliciousness with the benefits of being free from too! So easy to bake which is perfect for me as a hopeless baker & perfect for when you want to reach for a sweet treat with no nasty ingredients. Everyone should have a tub in their pantry/fridge. Totally amazing and delicious! I've tried numerous free-from cookies but either the texture was wrong or it had an ingredient that I can't have. But yesterday at an event in Chelsea I tasted the best multi free from cookies and cookie dough that I've ever had courtesy of Angels & Cookies! Even the raw cookie dough was scrumptious! How to make the world a better place in 4 easy steps: Make cookies. 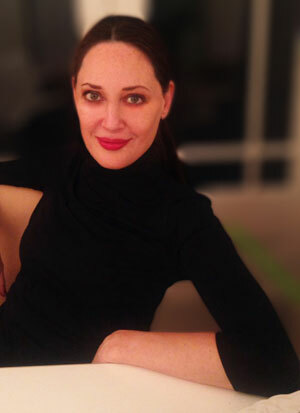 Make them allergen-free – include everyone! Make them taste more heavenly than other cookies. I have been totally amazed at how good these delectable delights are. There are days when you love someone else doing all the work and you can sit and enjoy freshly baked cookies and a glass of milk. Thank you so much. 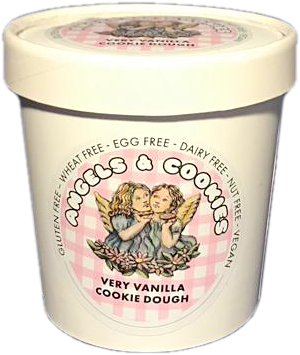 Angels & Cookies are only a small company, but their cookie dough doesn't half pack a punch in the Coeliac World. Big thanks to Angels & Cookies. I wanted a birthday treat that could be shared by everyone at my daughter's nursery regardless of food allergies, intolerance and specific preferences. 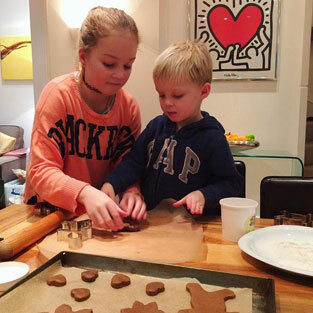 Angels & Cookies kindly adapted their recipe so that all children could enjoy the same delicious cookies, even taking part in making them. 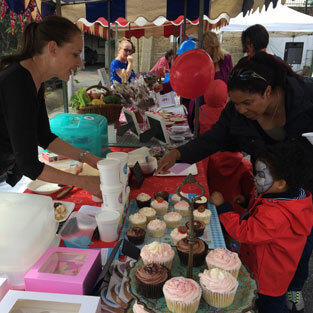 It was an overwhelming success, endorsed by the nursery. Very much looking forward to buying the next batch. Wish you all the success with your business. Thanks again. 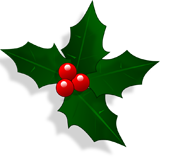 Requests, ideas, testimonials, or just say hello! Pay securely. No PayPal account needed.